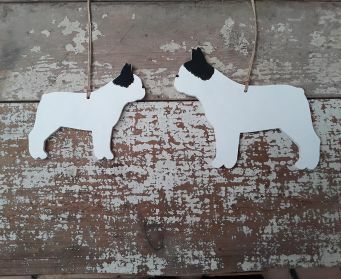 Hand Painted Wooden Dogs by Trunk Vintage. 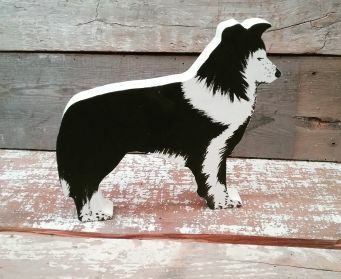 We create and paint wooden dogs from some of the nation's favourite dog breeds - Labradors, Spaniels,Terriers, Daschunds and Greyhounds, Jack Russells and not forgetting Collies (modelled on our very own Tommy the Collie the Vintage Cadet). 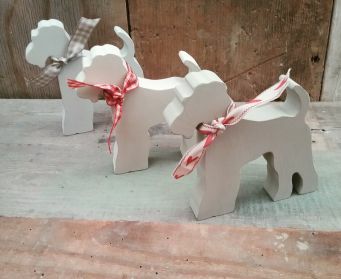 All our wooden dogs are carefully handpainted by us for you using Farrow and Ball paints. 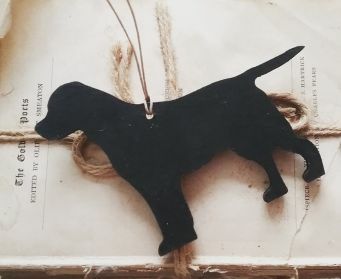 The painted dog cut outs and other animals aspect of our business started small but is expanding rapidly as our customers are loving the canine collection. 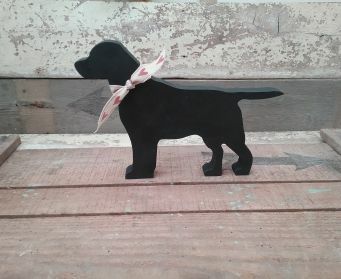 We have designed the wooden shapes to suit each dog's personality and to give a striking profile. 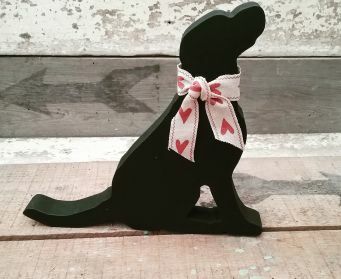 You can choose a bow to suit your dog whether it's a boy or a girl. 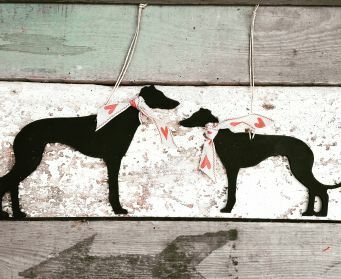 We often have customers send pictures to us on Instagram of our dogs in their new homes. 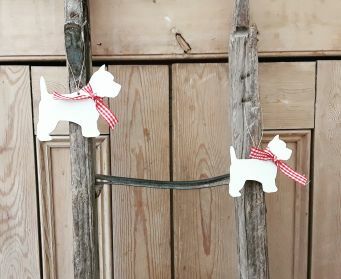 The dogs are cut from high grade Nordic Pro MDF which is FSC approved. 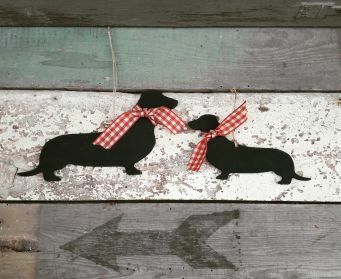 As we hand paint these the colours and finish may vary slightly. 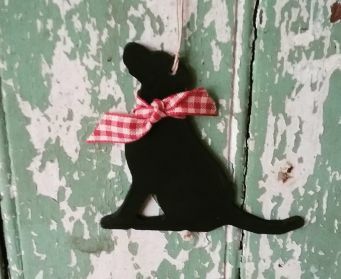 We aim to despatch your order in 14 to 16 days as it is created to your requirements. 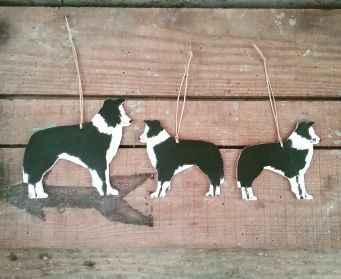 All the dogs are under coated and waxed to give a quality finish. 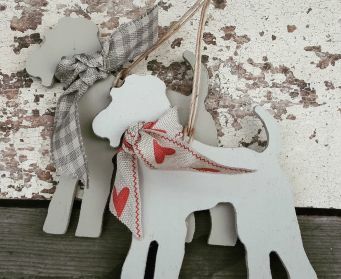 Just remember that they are not toys and are not suitable for children aged 3 and under. Do get in touch if you can't see a colour you would like and we will try to accommodate your request. 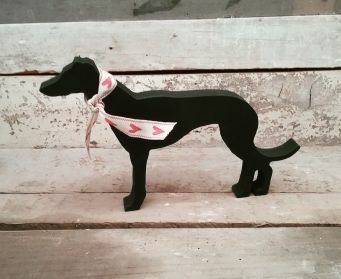 More breeds coming soon.. check back to see what other hand-painted wooden dogs we have for sale.